Here at Core Health & Fitness we are not nutritionists and we don’t claim to be. However we do have a lot of experience in weight and fat loss. 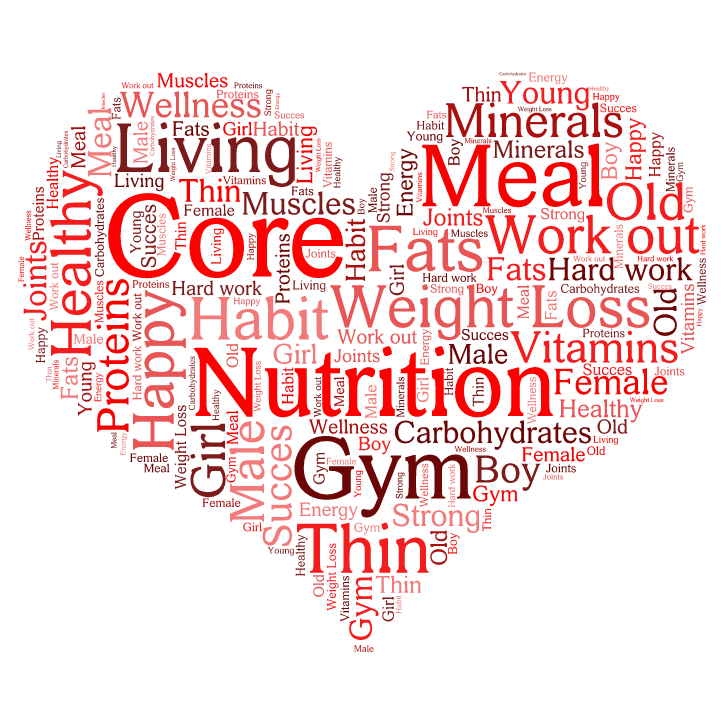 Core Nutrition – We have 2 different programs available to suit your specific needs. This is a weight loss nutrition plan, available to everybody who requires it (Not just Members). This plan is designed to reduce your body weight but also when combined with exercise (highly recommend some form of strength training) you can lose more fat and build lean muscle. So that when you get to your target weight your toned, strong and healthy. Our system – a full description of how to implement our system (no calorie counting). Nutrition booklet – contains all the information on our system. Recipe ideas for breakfast, lunch, dinner and snacks. It is a six week plan where we are here to motivate you to lose as much weight as possible. This is an individualised fat loss program. This is for people who don’t need to lose body weight but want to tone up and lose that remaining belly fat. We work out your calories, proteins, fats and carbohydrates and give you recipes to follow. Nutrition booklet – contains all other relevant information on our system. Try and link our Personal Training Packages with Core Nutrition for maximum results. Enquire at reception for more information or contact us directly from our “Contact Us” page.